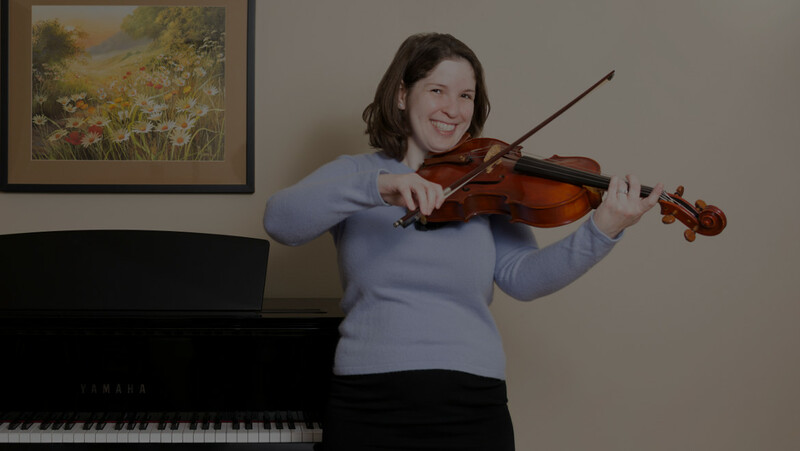 After taking a break from writing for the Musical Notes blog during August and September to focus on leading High Holiday services at Joliet Jewish Congregation, I’m back in blogging business. Before Rosh Hashanah (the Jewish New Year) and Yom Kippur (the Day of Atonement) took place in September, Alumni Weekend at my alma mater, Brandeis University, occurred from June 8-10 and included a roundtable on, who else? Leonard Bernstein. It covered one of the musicals he wrote, West Side Story, and opened with a beautiful live performance of the song, “Somewhere,” by Theater Arts colleagues Adjunct Associate Professor Nancy Armstrong on vocals and accompanist Todd Theriault on piano. This was followed by a panel discussion among Neal Hampton, Associate Professor of Music and Director of the Brandeis University Orchestra; Carina Ray, Interim Chair and Associate Professor of African and Afro-American Studies; Robert Walsh, Associate Professor of Theater Arts; and moderated by Ingrid Schorr, Director of the Office of the Arts at Brandeis University. Hampton raved about West Side Story, and provided a detailed description of its music. Walsh commented largely on the choreography in the musical. Ray’s analysis of the musical was a good balance to the positive reaction to West Side Story by the other two panelists, as she commented on interracial relationships in a colonial context, and how the musical included a story of immigration, the unequal relationship between Puerto Rico and the U.S., a turf war, women as property (how Maria “belongs” to Bernardo), and lyricist Stephen Sondheim and Bernstein’s small amount of actual research into Puerto Rican music (besides going to a gym where a social organization was trying to bring two opposing gangs together). If you’re interested in viewing the roundtable online, click here. Bernstein’s explanation of the meaning of music to young people implied that, even if a story line was supposed to offer a narrative for a piece, the basic understanding of that piece was in the notes themselves. “Music is never about anything. It just is. Music is beautiful notes and sounds put together in such a way that we get pleasure out of listening to them,” he said. The two-year worldwide celebration of Bernstein’s 100th birthday continues until Aug. 25, 2019. Leonard Bernstein’s book, The Joy of Music, contained not only imaginary conversations, but also television transcripts from the show Omnibus. They covered “Beethoven’s Fifth Symphony,” “The World of Jazz,” “The Art of Conducting,” “American Musical Comedy,” “Introduction to Modern Music,” “The Music of Johann Sebastian Bach,” and “What Makes Opera Grand?”. One concept Bernstein returned to throughout these shows is the idea of the “inevitability” of the next musical note and phrase. Beethoven wrote and re-wrote the musical themes for his symphonies (89-91); he had to figure out what would arrive next. This makes it seem, ironically, as if what he composed was not inevitable. After all, he had many choices for each note and rhythm. So, what makes the final phrases appear as if they were the only possible musical conclusions? As Bernstein depicts Beethoven’s drafts in The Joy of Music, he shows us notes with multiple cross-outs and re-writes. We realize that it’s only due to Beethoven’s extensive work composing that the final products seem inevitable. If Beethoven had stopped anywhere along the line, then the end products might not have sounded inevitable to listeners at all. Bernstein contrasts Beethoven’s work with an image from an Igor Stravinsky score, which the author notes, “looks almost as beautiful as it sounds” (92). “But Beethoven’s manuscript looks like a bloody record of a tremendous inner battle” (93). Bernstein called him “a builder,” someone “always probing and rejecting in his dedication to perfection, to the principle of inevitability” (105). Bernstein also described this quality as “rightness- that’s the word! When you get the feeling that whatever note succeeds the last is the only possible note that can rightly happen at that instant” (29). So, the idea that Beethoven scribbled, wrote, re-wrote his symphonies until they were “right,” makes much more sense. Perhaps the path to “rightness” is a different one for different composers, or maybe only certain composers achieve this quality. Bernstein goes so far as to compare Beethoven almost to G-d. Although I wouldn’t go that far, I’d certainly recommend this book as a good read for anyone interested in honoring Bernstein during the current, two-year, worldwide celebration. For more information, check-out the “Leonard Bernstein at 100” web site: https://leonardbernstein.com/at100. The festival commemorates the composer, music educator and humanitarian with more than 2,500 events worldwide. G-d speed, Bernstein. Tune in here next time for reviews of the cultural icon’s Young People’s Concerts with the New York Philharmonic. In Leonard Bernstein’s The Joy of Music, the author’s wide-ranging roles, including those of composer, inform his opinions. One of the topics he writes about is George Gershwin, even having one of his characters, the Professional Manager (P.M.) ask lightly, “What other George is there?” (55). Bernstein and the P.M. compare and contrast Bernstein’s and Gershwin’s works. “After all, George was just like you,” the P.M. says, “highbrow, one foot in Carnegie Hall and the other in Tin Pan Alley. He wrote concert music, too, and was all wound up in fancy harmony and counterpoint and orchestration” (56). Bernstein replied that Gershwin’s progression as a composer was a more natural progression than his own, “starting with small forms and blossoming out from there. My way is more confused: I wrote a symphony before I ever wrote a popular song” (57). The comparison between the two men continues, with Bernstein largely lauding Gershwin, calling him a “great, great theater composer,” even to Gershwin’s detriment: “Perhaps that’s what was wrong with his concert music: it was really theater music thrust into a concert hall” (62). The imaginary conversation comes back to Bernstein’s own composing. Despite knowing the general formula for a hit musical, the Professional Manager wraps up with one of his original thoughts about one of Bernstein’s shows: “Very strange. It’s a big success, the public enjoys it, it’s been running for five months, and there’s not a hit in it. How do you explain it?” he asks (53, 62). Why is a piece of music successful? Although there may be a formula for much of it, we may never fully know. Tune in next time for a further exploration of Bernstein’s The Joy of Music. “Leonard Bernstein at 100” is a two-year worldwide celebration of the life and career of the composer, with more than 2,500 events on six continents. There are many possible descriptors for Bernstein, including musician, educator, author, cultural ambassador, conductor and humanitarian. In Bernstein’s wide-ranging career, he found time not only to educate the public through television broadcasts of the programs “Omnibus” and the “Young People’s Concerts,” but also through books, such as The Joy of Music, Leonard Bernstein’s Young People’s Concerts, Findings and The Unanswered Question. As part of this major celebration, it seems pertinent to revisit some of Bernstein’s works, beginning with The Joy of Music (Amadeus Press, 2004). The first half of the book includes a series of imaginary conversations among characters including Younger Brother, Lyric Poet, Bernstein himself, Broadway Producer and Professional Manager, addressing topics of “Why Beethoven?”, “What Do You Mean, Meaning?”, “Whatever Happened to that Great American Symphony?”, and “Why don’t You Run Upstairs and Write a Nice Gershwin Tune?”. Bernstein’s many different roles in life led him to come to a wide variety of revelations about music. His background as a music educator informed his thoughts about music history. These include the ideas that, “All music must begin in the theater, historically speaking. … Music first arises attached to words and ideas. There is no folk music, to my knowledge, that is abstract. It is music for working to, or for dancing to, or for singing words to. It is always about something” (44). Music originated as folk music for various functions in people’s lives, including praying, life cycle events including weddings, other celebratory events, for healing, and for working. The development of music included operas growing from small to large, and church motets becoming cantatas and large requiems. “Now musical idioms have become familiar; and the procedures of Western music are enough alike so that the music can be separated from the words or the ideas or the concepts – that is, from the theater- and can exist for the audience in its own right” (45). Now, we have different forms of music: not only operas by Mozart, but also symphonies, and not only Passions by Bach, but also his preludes and fugues. Certain types of music developed into others. Bernstein called the church, “the greatest theater of them all” (44), concluding that, “in short, the audience had grown up with the music in the theater, and had reached the point where they could relate to the music without the theater” (45). In other words, the churchgoing audience itself developed from a group that expected music to include lyrics, to one that also became interested in and receptive to instrumental music outside of houses of worship. This brief overview of folk and church music is only a taste of the topics Bernstein included in The Joy of Music, some of which are discussed here. Tune in next time for a comparison of the music of George Gershwin and Bernstein. I used to dread memorizing songs. Then I realized that I was already doing this—for fun. Listening to pop music on the radio or the recording of “Hamilton” in the car, memorizing was a blast, a way to get to know a piece and a character better, and to take the notes with me when the piece ended. It was only when I sat down with a score and had to learn a piece for a purpose that it became a chore. It was all in the mentality. To avoid thinking of memorizing as a difficult issue, start out by selecting music that you like and want to listen to repeatedly. This repeated listening will make a huge difference in your ability to take the music with you after the recording ends. To learn Angelica’s toast in “Hamilton,” for example, I recommend listening to the soundtrack and singing along with it, rewinding for any words you miss, and getting a copy of the score. It’s also a decent idea to buy or borrow a copy of “Hamilton: The Revolution,” a book written about creating the musical that has the text of each of the songs. Then, of course, you also need to sing through the piece on your own to make sure you know it, and work to make it your own. If you have a visual memory, you can also sit down with a score and stare at it, learning it phrase by phrase, as you hear it in your head. Study a phrase; hear it; cover it up with your hand; sing it through in your head. Go on to the next phrase and repeat. Write down what you know about the character, including her likes and dislikes. In the case of Angelica, write about her emotions about Alexander Hamilton’s marriage to her sister, and the reasons why she introduces Eliza to Hamilton, rather than dating him herself. Rewrite the song in your own words to make it your own. Part of researching a character is differentiating between her portrayal on the stage and her personal history in real life. What are the differences between the ways that Lin-Manuel Miranda wrote Angelica for the stage and the ways she acted in real life? She was already married in reality when she met Hamilton, but for dramatic effect, Miranda created a love triangle between her, her sister and Hamilton. Her toast, “Satisfied,” is about a dilemma created for the stage. This type of personal character history is what singers need to research to create an accurate portrayal. Knowing this background is what will give you a leg up in an audition, not to mention making it easier for you to memorize a song. A song is part of a larger character arc. Learning about the entire arc, including where the character is mentally and emotionally at the beginning and ending of a larger work, will help you learn about the intention behind a song and the purpose of a piece. This will help you portray a character’s actions better, too. Out of authenticity can come hand or arm movements that help an audience understand your character better, movements that will add to a character, instead of seeming extraneous and detracting from your portrayal. One of the dangers of learning a song by listening to one recording of it is that, that’s the only way you can picture it sung. It becomes harder to make the piece your own this way. At this point, there’s more than one recording of the songs from Hamilton. Although it can be fun to listen to one recording over and over, it will help your interpretation of a piece to sample different ones. Learning the words to a song is always easier when you know what you’re saying. If you’re singing in a language other than English, get a good dictionary, or become familiar with Google translate or IPA Source, and write down the word-for-word translation underneath the text in a score. Think about the motivations behind a song. In an opera like Marriage of Figaro, think about the overall character arc and where the piece falls within the opera. What is the character thinking about and feeling when they’re singing? How does each phrase advance the song? Where is a character emotionally before and after they sing a piece? I often find that singing or playing a piece on the piano helps me think through a problem. Is this true for you, too? Characters may be the same way: as they sing about an issue, the music helps them move from point A to point B. Find ways to connect with them, and you’ll find that memorizing their words will be that much easier. Great composers like Miranda and Mozart have given you material worth performing. It’s your job to bring their phrases off the page and onto the stage. Go forth and memorize. 1. Sing. Open your mouth and sing your favorite tune. Then, do it again. Listen to a recording and then sing your song again. Think consciously about how you want to sound. Listen to a different recording, and compare it to the first one and to how you were singing. Keep trying to improve your interpretation and see what you can do. 2. Write. Open up a Word document, a journal, or compose an email to yourself. You might be surprised what you come up with. 3. Watch a free webinar. Google a favorite topic like music and see what you can learn. 4. Move. Go for a walk, inside or outside. Light exercise can change your mindset and give you a different perspective on the day. 5. Go outside, or at a minimum, look through a window. There’s a whole world out there to remember and explore. 6. Make up a rhyme. Pick a word and go on from that. Then create a second one. 7. Read. Pick up a book or magazine, or open a browser and read Google news to expand your thoughts for the day. 8. Meditate. Sit back, close your eyes, and listen to the world around you. 9. Have a conversation. Reach out to a friend, relative or someone you haven’t spoken to in awhile to get their perspective on life, meaning, or current events. 10. Laugh. Google your favorite comic (Amy Schumer, Mindy Kaling and John Oliver are three of my favorites) and start your day off with some humor. Happy New Year! Hope that it’s peaceful and musical.